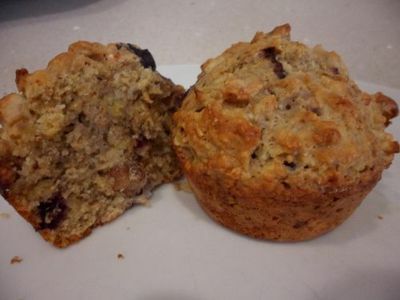 These muffins make a tasty and healthy snack. Packed with delicious fruits, they are a fantastic treat to fill the little ones tums! 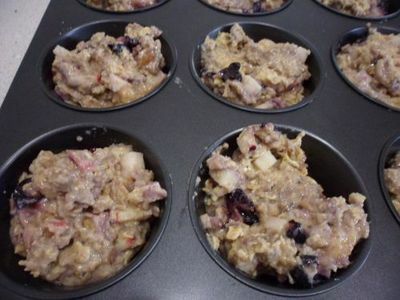 The recipe can be adjusted to include your favourite fruits and nuts, and can also be used to create either lunchtime snacks or breakfast muffins. 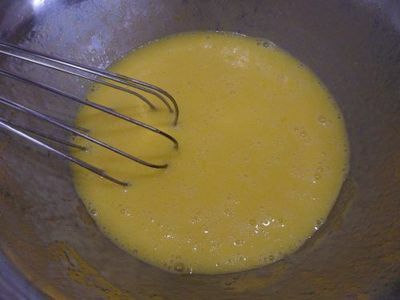 Place the oil, milk, caster sugar and eggs in a bowl and whisk well to combine. 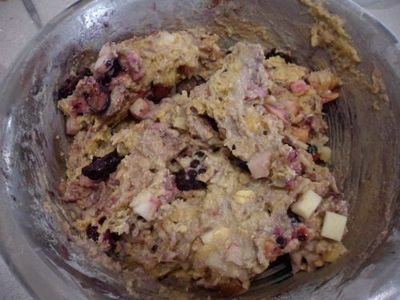 Mix through the flour, oats, cinnamon and baking powder. 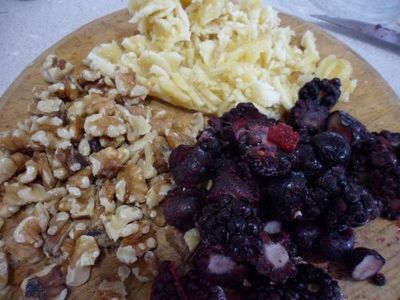 Leave the mixture to stand while you prepare your desired fillings.Grate the apple, mash the banana, chop the walnuts, and chop the berries (these can be any kind, for example strawberries, raspberries, blueberries), and orange (if using). 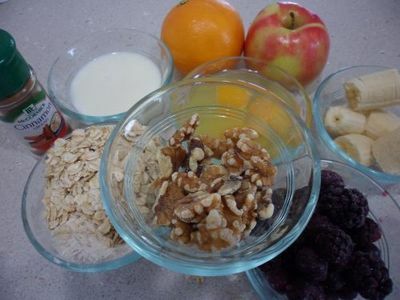 Add the fruit (and nuts) to the egg and flour mixture, and then use a spoon to fold through. 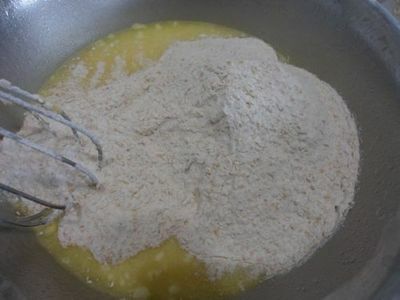 Stir until the fillings and mixture are just combined, being careful not to overmix to ensure the dough stays light and fluffy. Grease the patties of a cupcake baking tray, then spoon the mixture into the muffin tin. 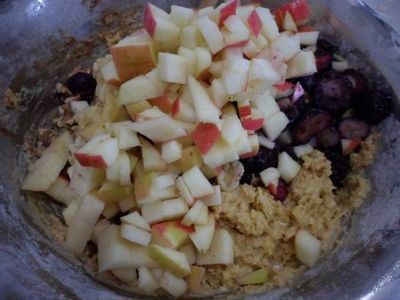 The mixture will make about 12 large muffins, or 24 smaller muffins. Sprinkle the tops with oats and raw sugar. 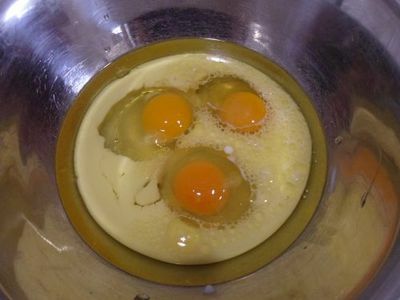 Bake for 20-25 minutes or until cooked when tested using a skewer. Remove from the oven and allow to cool on a wire rack, before placing the muffins into an airtight container to keep them fresh.